NOTE: Only three links are working BUT the other ones will be up this week. Enjoy! Pics from our many shows at Skater's World in Wayne, NJ including the 11.28.98 show with the Toasters, Skoidats, and Slow Gherkin. Pics from the Boston University show in October. 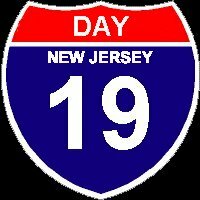 P.S.- If you have **ANY** Day 19 pics that you would like to contribute, please mail them to our P.O. Box. We will be sure to give you credit for them. We apologize if any of these pics were not given proper credit, we simply forgot who took them.